Can we just talk about this for a second? And I’m not talking about the ones you would expect postpartum, like wearing maternity leggings for a while (you need to! ), milk coming in, sleep deprivation, and having to wear a pad the size of a small car. After I had Liv, there were a couple of things that shocked me, but there was one I wasn’t totally ready for: sweating like crazy during the night. After the birth, hormone levels adjust to recover from the birth/pregnancy and regulate breast milk supply, and during that process, it can cause crazy night sweats. At the time, I was taking megadoses of Blessed Thistle and Fenugreek to boost milk supply. The latter can make you smell like maple syrup. So, I was totally drenching the sheets and my pajamas, and the entire room had a STRONG maple aroma. I guess there are way worse things you could smell like, but still. Totally weird. The second one was the hair changes! After giving birth to Liv, I lost a lot of hair. It would come out in the shower in handfuls, and was much thinner for at least a year until it grew back. I also had the “cool” baby bangs growing back in, which gave me a Frankenstein forehead. Flash forward to P: I hardly lost any of my hair following the birth. This was awesome because my hair is still very thick, but I did manage to lose some of the front of my hair, so I have the baby bangs happening again. Another crazy hair change after P’s birth: my hair is SUPER CURLY now. 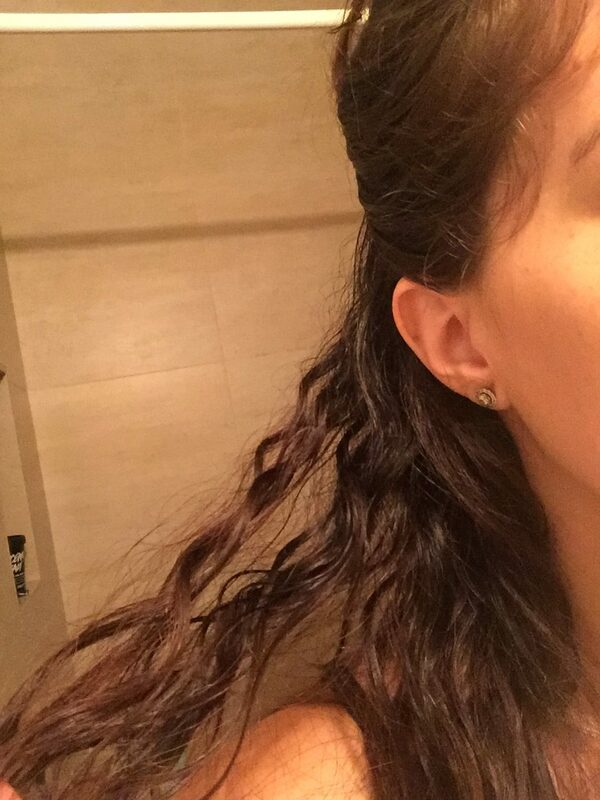 It’s always had a bit of a wave to it, and now the middle of my strands are kinked with coarse curls. My hair’s texture completely changed. We joke that the kink is about 9 months into my hair growth, just to show how stressful the birth and first 3-6 months of life were for me haha. 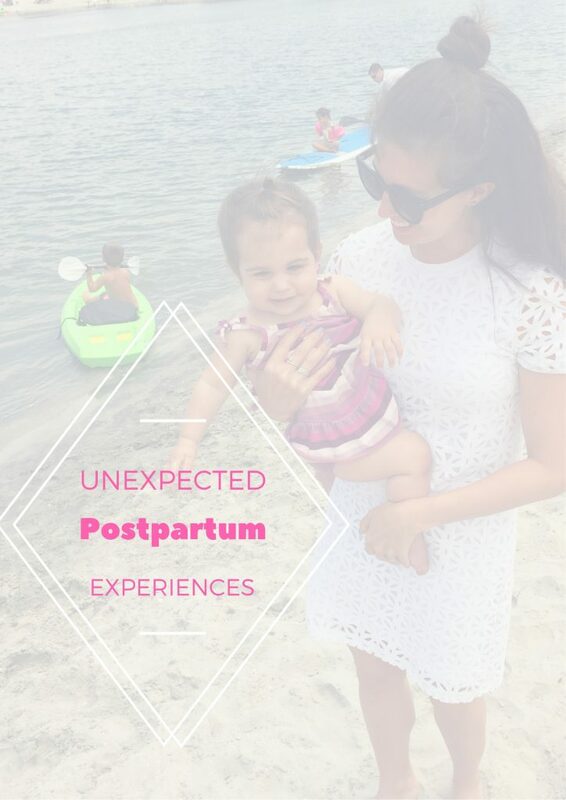 Did you notice any unexpected postpartum changes or events? Anyone else have entirely different hair texture now?? amen to that. mine has been out of control! I just had my little girl a month ago and I have noticed that my hair has gotten so much more wavie. It always had been a little but now it’s crazy! Curly hair here too post partum! Coarser too. Just found your blog! Love it! To answer your question, YES. My hair went from wavy to curly, but not a pretty curly where you can just scrunch and go. Ponytails are my friend. Even my professional grade straightener has a hard time keeping up. This is one I guess I should have expected but I have a hernia that I am trying to correct. That and the weak pelvic floor is much more than I expected. I only gained about 20 lbs and by LO was 7lb 8oz, so I didn’t think it was be so much on my body. I am definitely having night sweats!!! I wake up drenched!